Town centre office and retail scheme sold on behalf of The University of Brighton to Hastings Borough Council for £9,400,000. 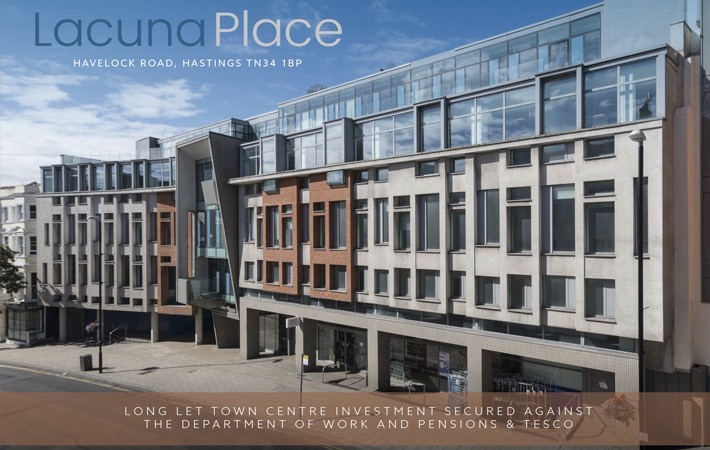 Lacuna Place comprises a high quality office and retail schemed developed in 2008 and totalling 39,696 sq ft. The building is located in the town centre and forms part of the Priory Quarter office sector adjacent to Hasting train station and within a short walk of the Priory Meadow shopping centre. The office element is let to the Department of Work and Pensions on a lease expiring in January 2033. The ground floor retail unit is let to Tesco Stores Limited on a lease expiring in February 2024. Grade A, multi let office building sold on behalf of Blackrock/Rockspring to M&G for £30,050,000. 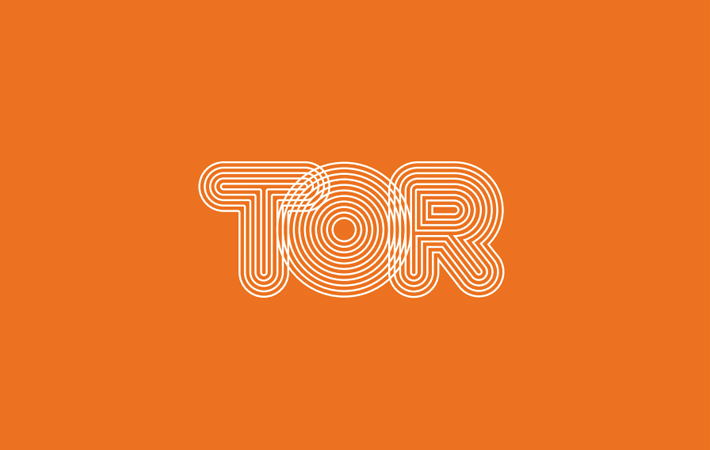 Tor comprises a prime, multi-let headquarter office situated in a prominent position on Saint-Cloud Way in Maidenhead town centre which is set to benefit from the arrival of Crossrail in 2019. The scheme was redeveloped in 2013 to comprise 68,065 sq ft of accommodation over ground and three upper floors with an outstanding town centre car parking ratio 1:347 sq ft. Tor is fully-let to three tenants with an attractive WAULT of 9.3 years to expiry (8.8 years to break). Modern warehouse unit sold on behalf of Allois Properties to Clipstone for £3,925,000. 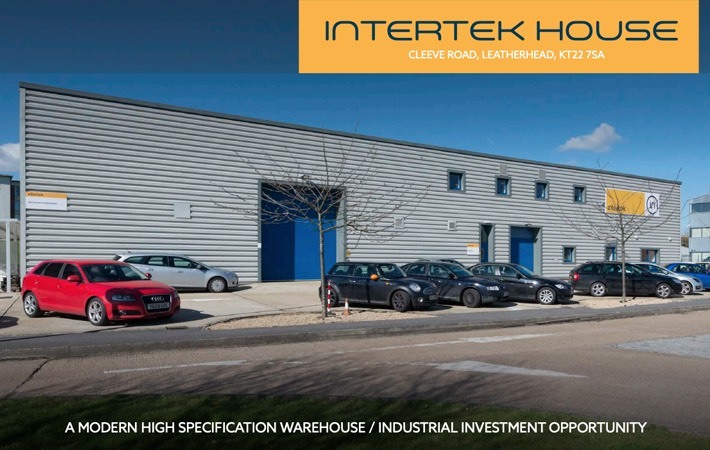 Intertek House comprises a high specification warehouse / industrial unit with ancillary space totalling 17,407 sq ft, on a site of approximately 0.54 acres, reflecting a site cover of 49%. The building is let to Intertek Testing & Certification on a 10-year lease from April 2017, there is a tenant only break option in year 5. The lease is subject to a fixed uplift in 2022 to the higher of 2.00% per annum compound or OMV. Multi-let town centre office, sold on behalf of Jansons Property to RO Real Estate for £4,000,000. Admiral House comprises a period office building arranged over ground and two upper floors totalling 8,817 sq ft, with an exceptional town centre car parking ratio of 1:383 sq ft. The building is let to 3 tenants with a WAULT of 3.33 years to break and 7.83 years to expiry. The total rental income is £241,694 per annum. In addition, the property benefitted from an implemented planning consent for 12 apartments underpinning the residual value. Grade A, town centre office building sold on behalf of Laidlaw Estates to FProp for £14,000,000. 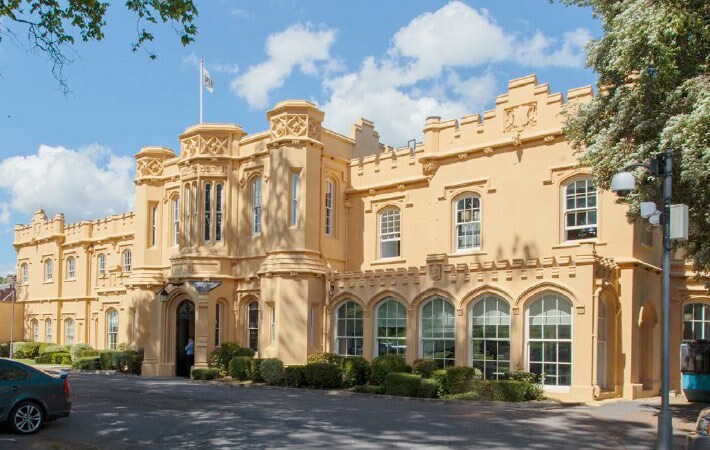 Bourne End is an affluent commuter town in the heart of the Thames Valley between Maidenhead and High Wycombe and in close proximity to the M4, M40 and M25 motorways. 2 Dukes Meadow has been extensively refurbished at a cost of £5.3m, including an additional double height reception, building remodelling, the replacement of all fenestration, the replacement and upgrade of the M&E services and external landscaping. 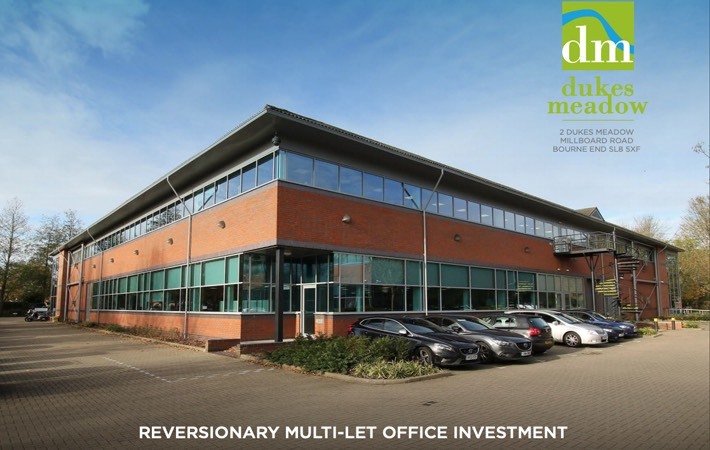 The building extends to 42,121 sq ft arranged over ground and first floor with 168 car parking spaces, reflecting a generous ratio of 1:250 sq ft. 2 Dukes Meadow is fully let to three 5A1 tenants – Renesas Europe Limited, Everyday Loans, and Zebra Technologies, with an AWULT to expiry of 9.37 years and 4.5 years to break. Grade II listed period office building located on Chalfont Park in Gerrards Cross, sold for Longmead Capital to owner occupier TSL Projects with vacant possession for £5,125,000, reflecting a capital value of £350 per sq ft. The 14,645 sq ft office building was previously let to Citrix and benefitted from a high standard of fit out. 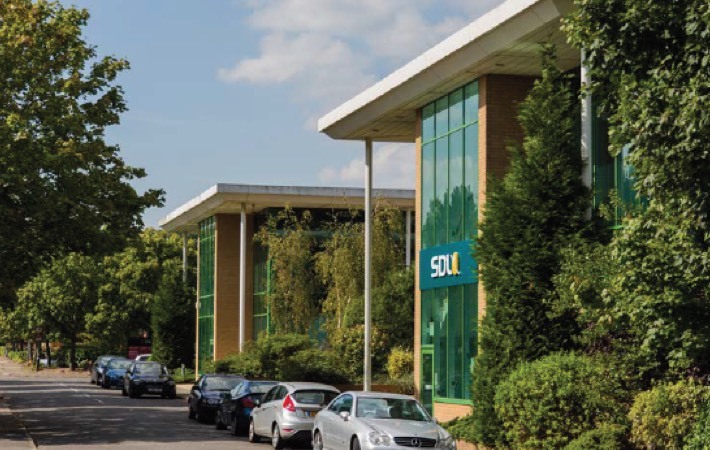 Chalfont Park is a business park totalling approximately 36 acres (14.6 hectares), developed in 2000/01 within the original grounds of Chalfont Park House. The property benefits from 59 on site car parking spaces providing a parking ratio of 1:248 sq ft.
Two storey office building sold on behalf of Threadneedle Investments to Angelana Investments with vacant possession for £3.5m, reflecting a capital value of £141 per sq ft. 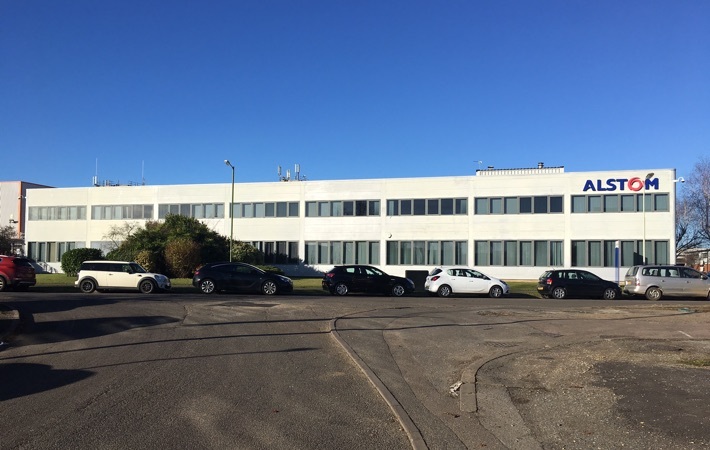 The 1980s office scheme was previously let to Alstom totalling 24,719 sq ft and is a 12 minute walk from Welwyn Garden City Town Centre. The scheme benefits from 67 car parking spaces. 78,720 sq ft multi-let office building sold on behalf of TRIVIA to MCR Property Group. 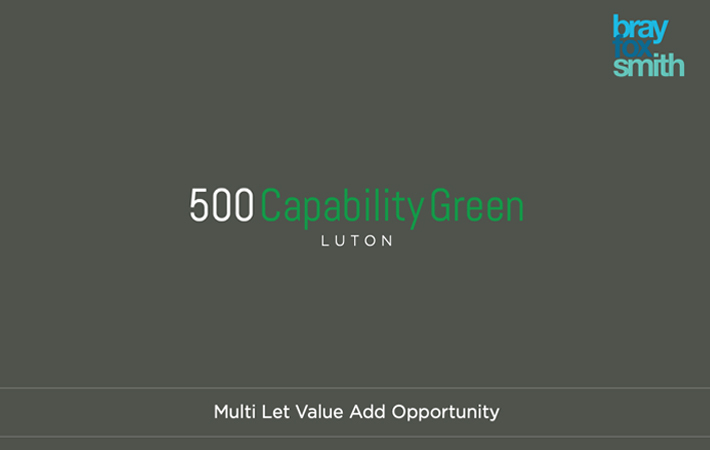 500 Capability Green is multi-let to Anheuser Busch, Williams Lea and the Stone Gate Pub Company. The AWULT is 6.98 years to expiry and 3.23 years to breaks. Two floors totalling 25,717 sq ft were vacant at the point of sale. 500 Capability Green sits on a freehold site totalling 5.1 acres, with 378 car parking spaces equating to a parking ratio of 1:212 sq ft. Capability Green is one of the northern M25s key business parks and is home to many international companies including Astra Zeneca, Impellam Group, Selex Galileo, Oracle, Ernst & Young and Regus. 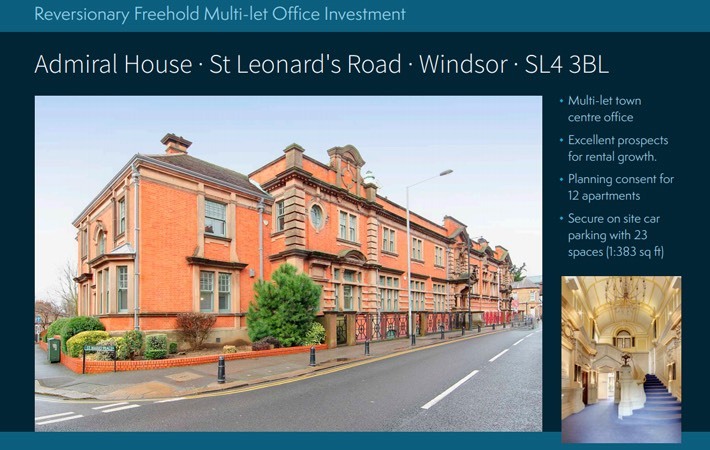 Sold on Behalf of AEW UK to Montreaux Ltd.
BFS purchased this single let office building and agreed a surrender with the existing tenant, SDL Plc. 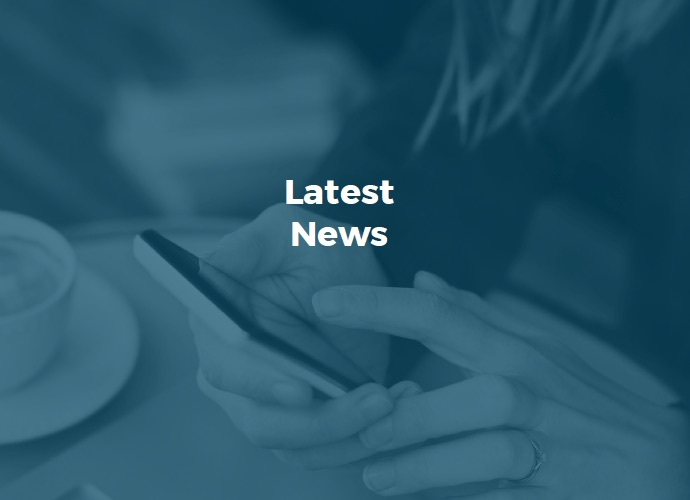 SDL were relocated to another asset within AEW’s portfolio and the building was sold with vacant possession to a residential developer for conversion to 70 residential units. 64,678 sq ft office building and multi let business unit estate located opposite Theale Station. Sold on behalf of Theale Estates to AEW for £9,450,000. Town centre office building sold on behalf of Aberdeen Asset Management to Thames River Capital for £5,180,000, reflecting a net initial yield of 7.85%. The 20,434 sq ft office building is let to The First Secretary of State until 2023, at a passing rent of £430,500 per annum, equating to £21.36 per sq ft. The building is arranged over ground and four upper floors with 68 car parking spaces. The tenant has a break option in April 2021. 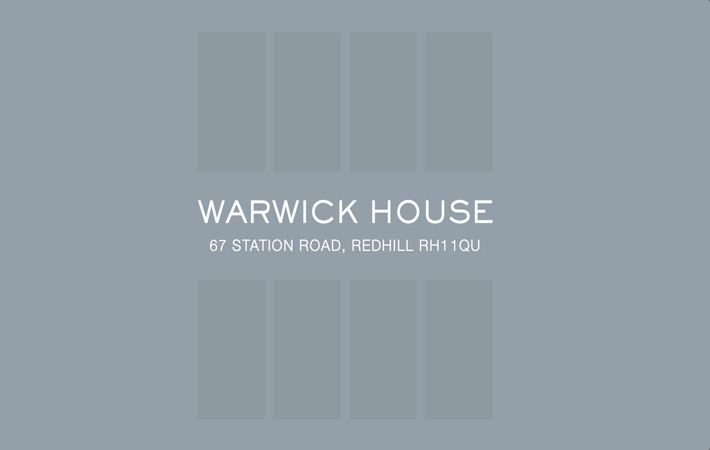 Located at 67 Station Road in Redhill, Warwick House is immediately adjacent to the pedestrianised town centre and close to the station, Warwick Quadrant and Belfry Shopping Centres and a number of major office occupiers such as Santander and AXA. 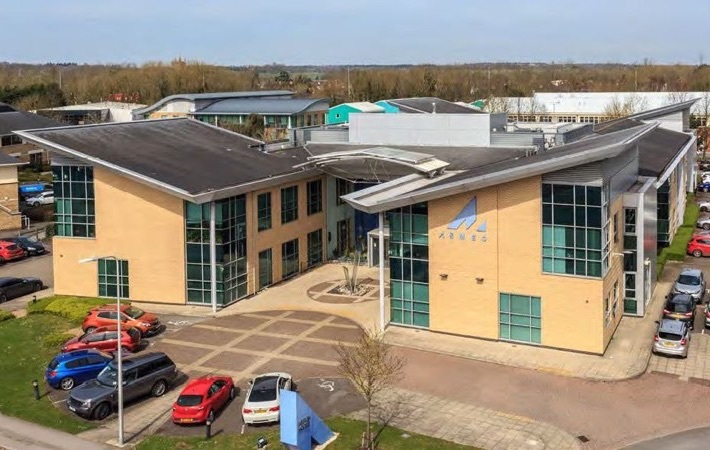 Greater London office campus sold on behalf of Aberdeen Property Investors to AEW Europe for £10,825,000 reflecting a net initial yield of 8.21%. 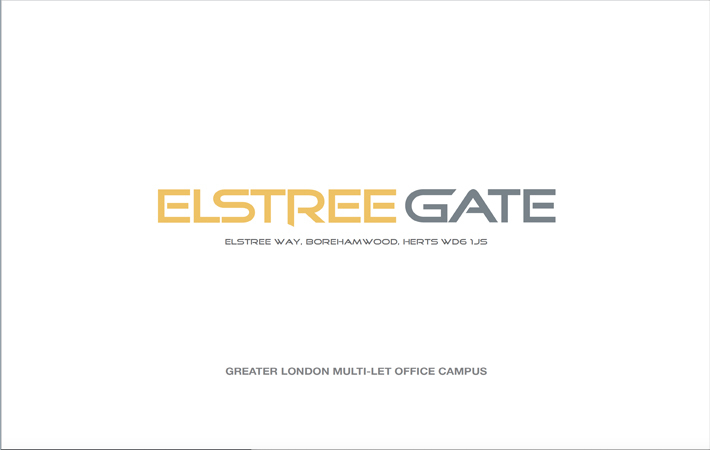 Elstree Gate is a modern development of 7 adjoining two storey office buildings totalling 68,762 sq ft set in mature landscaped grounds fronting Elstree Way. Each building offers self-contained office accommodation arranged over ground and first floors. 319 marked car parking spaces are provided at surface level and within a secure decked car park to the rear of the site. 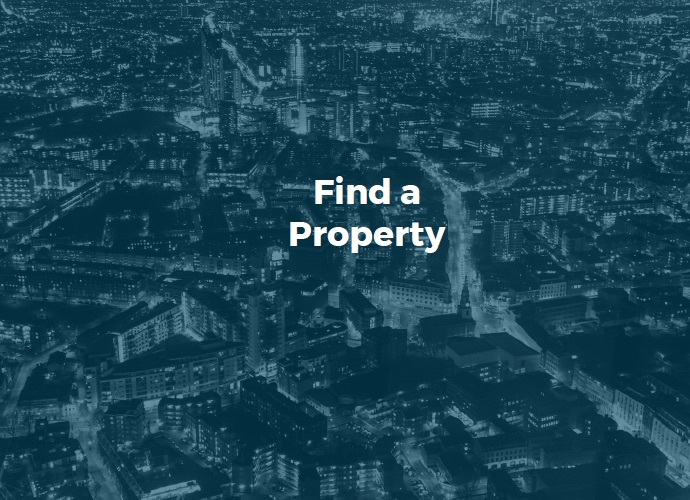 The scheme is let to tenants including The First Secretary of State, Cable & Wireless UK & Durkan Limited. The WAULT to expiries was 9.8 years and 6.2 years to breaks. Multi let, Grade A office building sold on behalf of IVG to M&G Real Estate for £19,011,000 reflecting a net initial yield of 5.90%. 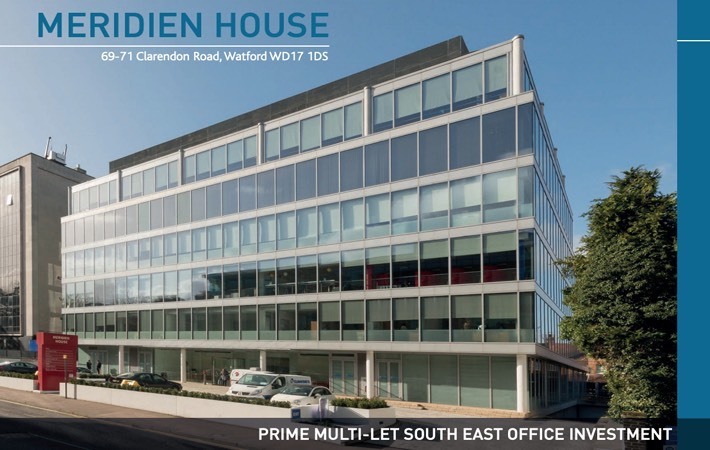 Meridien House is a 59,977 sq ft Grade A office building arranged over ground, six upper and two basement floors and is located at 69-71 Clarendon Road, Watford. The two basement levels provide 177 car parking spaces. The building is fully let to 8 tenants including i2 Offices, Bathstore, Galderma and Elavon Financial Services with an average weighted unexpired lease term of 8 years. Clarendon Road is Watford’s prime office pitch linking Watford Junction rail, bus and tube stations to the town centre and the Intu Shopping Centre. Watford Junction rail station provides a direct rail link to London Euston in only 15 minutes.